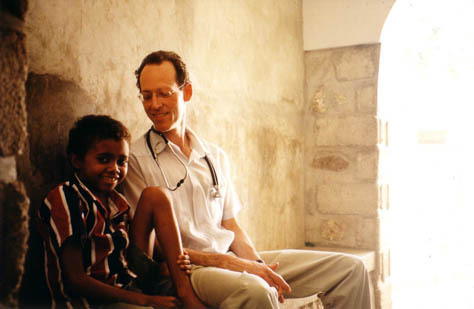 During my college semester in Medical Sociology, we read the book, Mountains Beyond Mountains: The Quest of Dr. Paul Farmer, a Man Who Would Cure the World. As obviously pointed out in the title, this book chronicles the journey of Dr. Farmer has he managed his studies at Harvard Medical School, all while traveling back and forth to Haiti, in a mission to fight diseases like tuberculosis. Everyone always asked why I wanted to be a doctor. My answers were the general: one’s love for science and passion for medicine, working with others, helping others, as well as job and financial security. But ultimately, Dr. Farmer showed me the ultimate reason—At the end of a long day, I want to go home and know that I helped someone improve their health or saved someone’s life, and that someone will remember be because I did something right and changed their life. Starting my journey into the medical field as a doctor, I don’t expect to only diagnose and treat, I want to educate and teach my patients about health and disease. It is one of the main reasons why I decided to get an MPH, with a specialization in Health Promotion and Disease Prevention, I hope to someday be like Dr. Farmer and develop programs to raise health awareness and education in local/national communities. What inspired you to choose your future? Isn’t is funny how one class, one book, can answer and guide you to your calling.